An underride truck accident refers to cases in which a commuter vehicle strikes the trailer of a semi-truck and winds up partially under the trailer in the process. In some cases, the underside of the trailer sheers off the top of a passenger car as a result of the force of the collision. These horrific kinds of truck accidents can result in catastrophic head trauma and brain injuries given the nature of the collisions. It’s been estimated that 200 fatalities each year are the result of underbid truck accidents. Our Salt Lake City, UT auto accident legal team would like to consider the dangers of underride truck collisions. We’ll note causes and safety measures that can prevent severe harm affecting you and your passengers. When rear end underride truck accidents occur, the vehicle behind the truck winds up stuck under the back end of the trailer. These kinds of collisions tend to be more common on highways where high speeds and sudden stops can spell disaster. T-bone underride collisions tend to be the deadliest form of the accident. In these cases, the passenger vehicle broadsides the trailer, causing horrific vehicle damage and injuries. These kinds of accidents are more common in intersections. Driving Too Close Behind a Tractor-Trailer - If you drive too close to a large truck, there’s a risk of a rear end collision, which can lead to an underride accident. Running Red Lights - Whether it’s a passenger car or a truck running a red light, the risk of a large truck traveling parallel to an oncoming car increases the risk of a deadly underride accident. Blocked Intersections - When a trailer is blocking an intersection, there is a high risk of underride collisions. This may be linked to running a traffic signal or ignoring a stop sign. As noted above, the injuries sustained from underride truck accidents can be catastrophic and even fatal. Severe head trauma may be sustained in these kinds of crashes, causing brain damage. In especially severe underride accidents, the hair trauma can be fatal given how the skull collides with edge of the trailer and how far under the trailer a passenger vehicle is embedded. Severe underride accidents can be partially prevented if there is a guard rail in place. These underride guards are located on the sides and rear of a trailer. They prevent a vehicle from getting too far under the trailer. While he impact can lead to serious injuries, there is a lower risk of direct trauma to the head, and a decreased chance of a fatal crash. While life-saving, not every large truck has an underride guard in place. Motorists should be cautious while on the road, keeping safe distance between their vehicle and a large truck, and being cautious when approaching and driving through intersections. 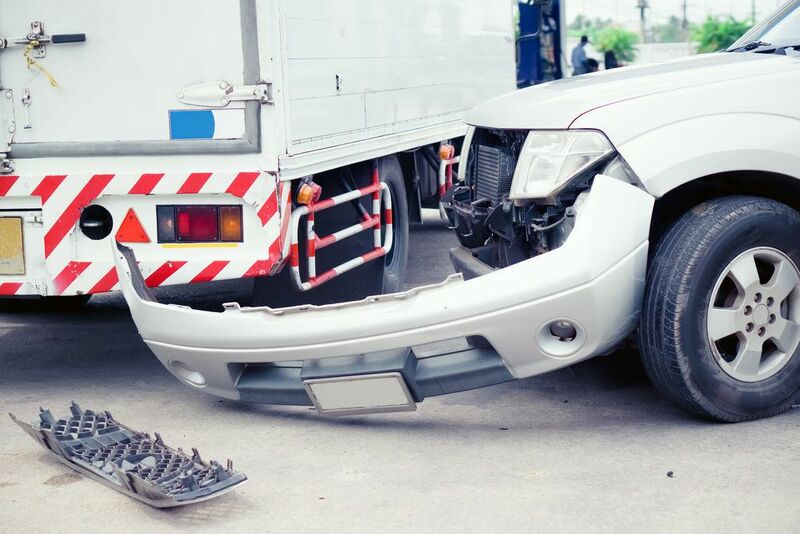 For more information about your legal rights and options following a large truck accident, be sure to contact an experienced auto accident lawyer. An attorney will work with you and help hold negligence drivers and trucking companies accountable for their actions.